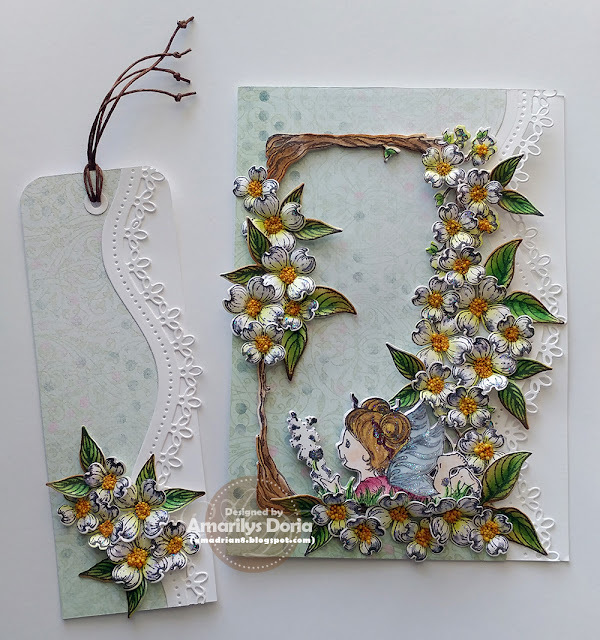 Welcome to my blog for the Heartfelt Creations August Alumni Blog Hop! Be sure to leave a comment on all the participating blogs. One participant will be chosen to receive a $25 Gift Certificate. The more you comment the more entries you get into the random draw! Be sure the check the Winner Announcement on Wednesday, August 30th on the Heartfelt Creation Blog and on the Facebook Page. If you win, please send an email to Heartfelt Creations at socialmedia@heartfeltcreations.us and write "Winner of August Alumni Hop" in the subject line. Hop ends on Monday, August 28th at 11.59pm EST. 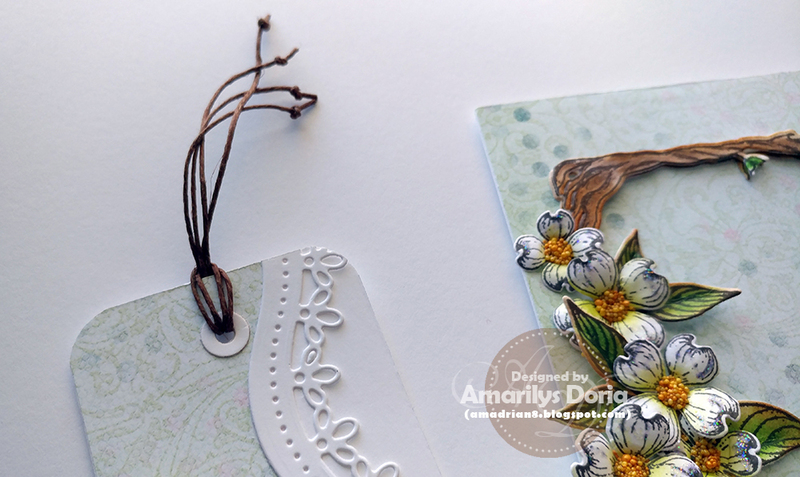 Here's the card and bookmark set that I made using the Wildwood Cottage Collection and the Flowering Dogwood. Don't you just love how well all of Heartfelt Creations collections work with each other!? Beautiful card and bookmark. Love the dogwood flowers. So so pretty. Just look at this fabulous card and bookmark! I love those dogwoods and the multi-layer cutting your did!! I'd totally flip out if this beauty landed in my mailbox!! Love your card and bookmark! Gorgeous dogwoods and a lovely edge detail with the border die! Beautiful dimension! 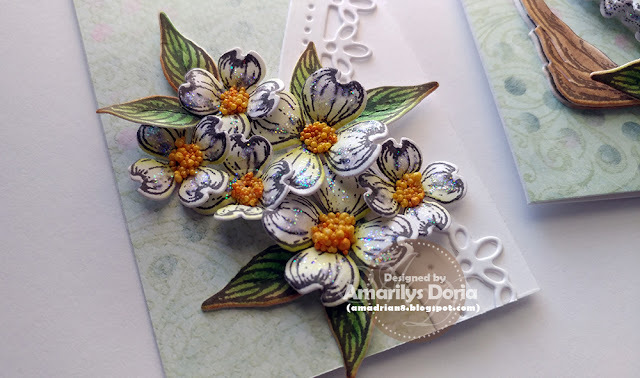 Beautiful card, Amarilys, love those sparkly dogwood! Ooh, that border die on the bookmark really looks terrific and is a great lead to the beautiful flowers. Love the dogwood flowers and the bookmark such a great idea. The flowers look wonderful with the branch frame! Love it. Super fun vines of flowers! Cute Cute Cute! The flowering dogwood, I think, is my favorite kit. Great idea, nice card and bookmark. Thanks for sharing. 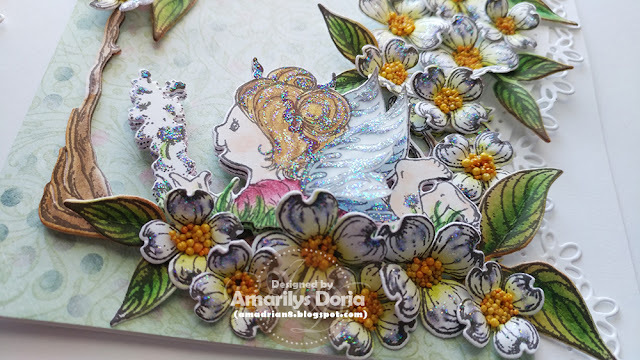 Beautiful card and bookmark Amarilys. 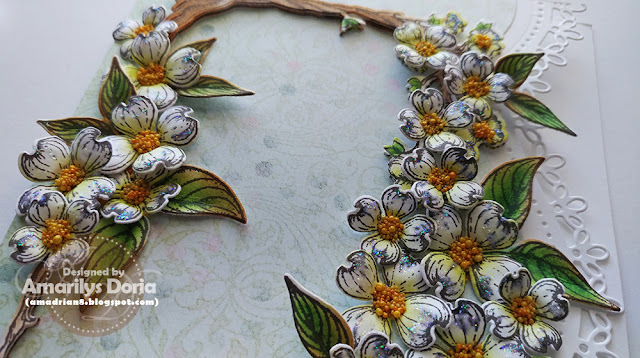 I love the way you combined the Flowering Dogwood and Wildwood Cottage Collections! Beautiful, I like the stacked fairy. That adds a lots of detail. The dogwoods are one of my favorites. I love that dogwood in white and what a cool idea with the matching bookmark! Very pretty set. Love the flowers. Love the card! The sparkles are cute. Love your dogwood flowers! Beautiful card and bookmark! 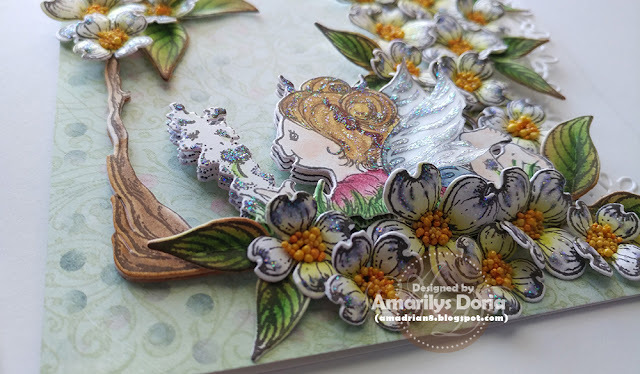 I love your card, the darling lil fairy amid the blossoms as well as your layout! Dogwoods are the first sign of spring for me and they bring to mind many great memories! TYFS!!! A beautiful card and a bookmark to match. Even a fairy. So cute. Love the dogwood flowers. I like how you used the curved die on the bookmark. Absolutely stunning card and bookmark design. Wonderful flowers on them. I never tire of that beautiful dogwood! Your card and bookmark are STUNNING! Beautiful card and bookmark. Love the flowering dogwoods cascading on the bookmark. Beautiful collection! I would love to have this stamp and die set. Great work! Great idea to do multiple layers of one die! A lovely set. Thank you for the inspiration. Beautiful work. Love the card and bookmark. What an awesome gift. Love it! There are so many wonderful elements to your set. Very pretty! Love the dogwood set. Love both of those sets.... very pretty! Love the bookmark. The dogwoods are just beautiful! This is so sweet and special. I love your flowers!!! Great ideas. I will be using 2 of them this week - one as a thank you to a dear friend who spent days with me in the hospital and one for a brothers birthday card. So glad I stopped by.